Grace Episcopal Church is one of more than sixty churches in the Diocese of the Central Gulf Coast. We are one of two Episcopal churches serving Panama City Beach. We have served the eastern area of the beach for more than twenty five years. 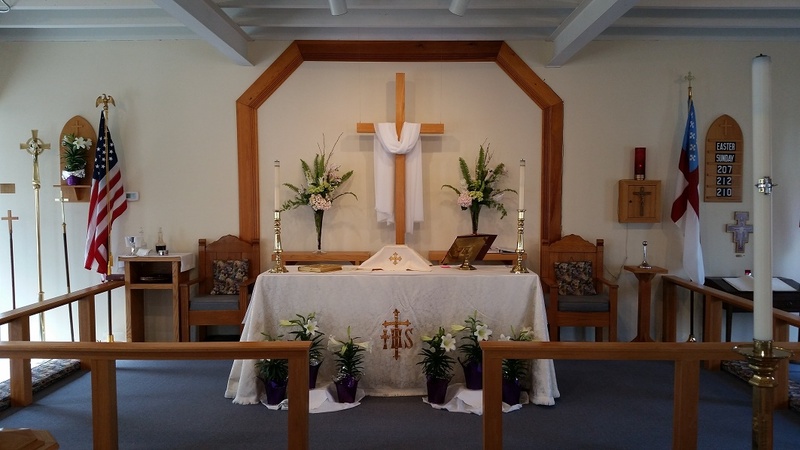 Our Shared Ministry partner, St. Thomas, located in Laguna Beach, serves the western area. Our primary service is that of Holy Communion, which is celebrated each Sunday at 9:00 AM and at other special times during the church seasons. During Easter season April 28 - June 9 we will be joining with St. Thomas for a season of shared services. The first will be held at St. Thomas by the Sea, Laguna Beach at 10:00 am. See our News and Events tab for the full schedule of services during this season. Copyright © 2018 Grace Episcopal Church. All Rights Reserved.